Send Anthuriums anywhere in Ireland. Whether you need the perfect centrepiece for your event or would like to provide a thoughtful gift, anthuriums from Bloom Magic are certain to leave a lasting impression. Our hand-tied bouquets feature only the best fresh-cut flowers and are guaranteed to arrive in flawless condition, as well as last a full week. 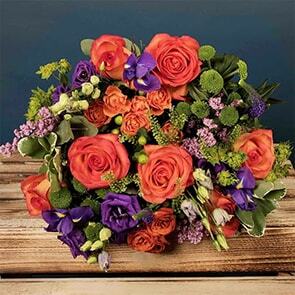 Take advantage of our same-day flower delivery Dublin or next-day flower delivery Ireland and have the perfect anthurium bouquet on hand anytime you need it. Anthuriums are one of the longest lasting flowers and come in a wide array of colours, from pure white to shades of pink and red, and even green and bicolour. Our catalogue hosts an impressive selection of fresh-cut blooms, each designed by our own artisan florists to make use of local flowers as much as possible, to minimise packaging, and to maximise the impact they have on the recipient. 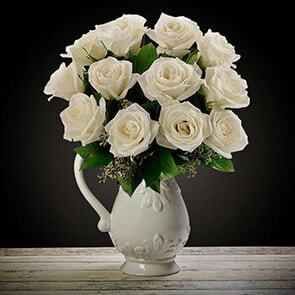 If you’re sending flowers as a gift, consider adding a lovely vase to show off the beautifully-exotic anthuriums. You can also include delectable chocolates, and of course, a personal note to express your thoughts regarding the special occasion or about the recipient. 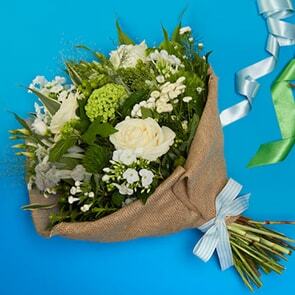 Sending flowers has never been easier with our next-day delivery Ireland. Whether you chose an anthurium bouquet or one of our many other beautiful, hand-selected floral arrangements, we will always strive to exceed your expectations. Moreover, all our flowers come with a quality guarantee; we promise they will arrive on time and stay fresh for a full week. Should you have any questions, you can reach us by phone, email or via live chat here on our website, or simply place your order and we will begin preparations to fulfill it straightaway.